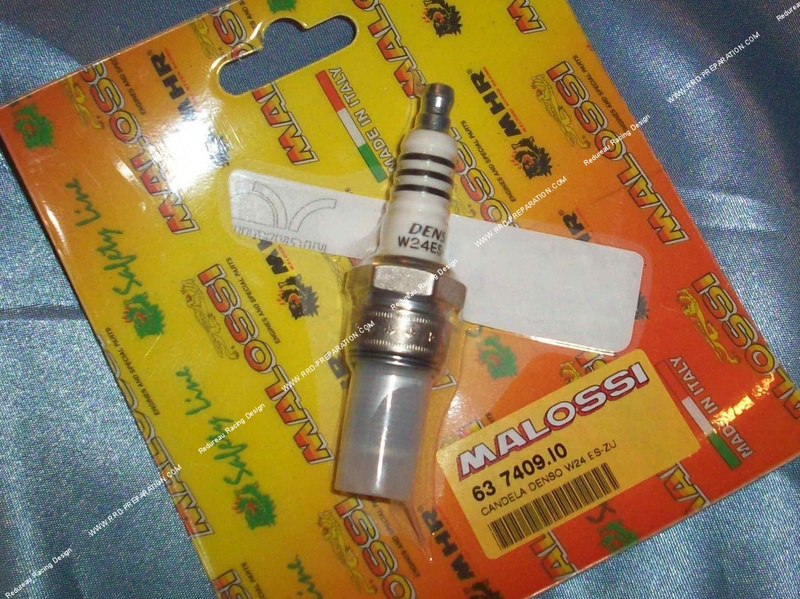 Candle DENSO iridium W 24 ES-ZU in his malossi box mhr: The candle with short base in excellence for engines a little and very equipped, really nothing to do with all other candles, strength, self-cleaning, power spark ... it is the result of many studies. The more upscale that we can have, the high price is due to the component and study, it is worth it for the engines pushed as gains in performance and longevity are really present. Do not use this type of candle for your various settings / run-ins, you can use it to roll every day with a little engine equipped and even original. We recommend this warm index in very cold weather. An important factor in the choice of the candles is arranges it of heat which defined the amount of heat that the candle can exclude from the combustion chamber. Candles operating at too high temperatures or too low create problems: first do not cool sufficiently and are causes of precombustion, seconds generate a carbon deposit on the electrodes. 1. a more powerful spark with a lower voltage.